The science that has changed the lives of thousands all over the world! - Why do we get sick and how do we truly cure ourselves? - Why is it so difficult to do what is good and necessary? - Why do some people annoy us more than others and how do we deal with them? - Why at times does nothing seem to go right in our lives? - How can we understand the influence of God and other spiritual forces in our lives? - At the end of the day, what is the purpose of our lives? 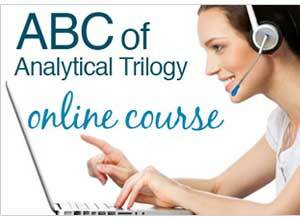 This course is interactive and is supported by highly trained teachers in Analytical Trilogy (or Integral Psychoanalysis). This is a unique opportunity to better understand both yourself and the society you live in. One more thing … in doing this profound online course, you will be helping to build a better world in which to live!